Something about the cover and title made me have low expectations, but I was wrong! Hilarious and intriguing, this is for anyone who loves the snark of a Harry Dresden, Mark Watney or even the comic book Spiderman. Dennis Taylor "cheats" the problem of a first person perspective in such a creative way. He's able to overcome the limitation of writing from one point of view and manages to deftly weave multiple story lines and solid characters in a way that makes me excited to move to the second book. 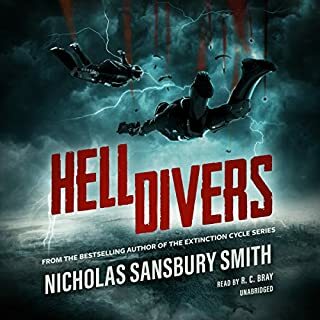 Helldivers is a well crafted adventure story with excellent world creation, compelling characters and terrific pacing. I loved it. The dystopian world and airship setting had a slightly steampunk feel, reminding me of the first Ember novel, though that is a children's story and this isn't. I'm looking forward to reading the rest of the series. Which character – as performed by Rosario Dawson – was your favorite? Rosario Dawson did a fantastic job with all the characters in the sense that she had believable accents for all the varied nationalities. 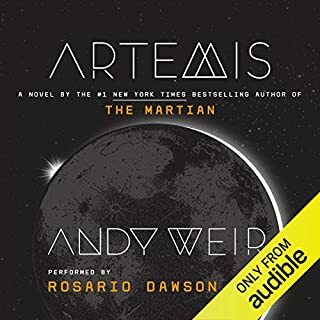 Andy Weir has the shown with this novel that "The Martian" was not a fluke....he has the chops to tell a terrific action story with humor, some intrigue and mystery coupled with the McGuyver factor that we have come to expect. I listened to it in one sitting on a road trip. all the positive reviews are correct. Great characters and a intriguing science fiction story. highly recommended. 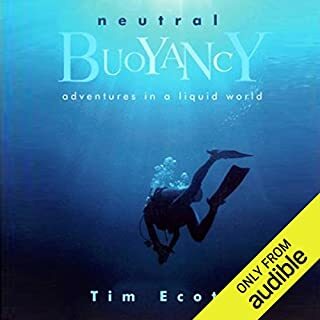 What made the experience of listening to Neutral Buoyancy the most enjoyable? The author's level of research was perfect for bringing the history of diving to an enjoyable level. Have you listened to any of Jack Reynolds’s other performances before? How does this one compare? This is a nonfiction book. It is the fall of 1951 and the Korean War is raging. Twenty-six year-old Nicholai Hel has spent the last three years in solitary confinement at the hands of the Americans. Hel is a master of hoda korosu or "naked kill," fluent in seven languages, and has honed extraordinary "proximity sense" - an extra awareness of the presence of danger. He has the skills to be the world's most fearsome assassin and now the CIA needs him. The Americans offer Hel freedom, money, and a neutral passport in exchange for one small service: go to Beijing and kill the Soviet Union's Commissioner to China. 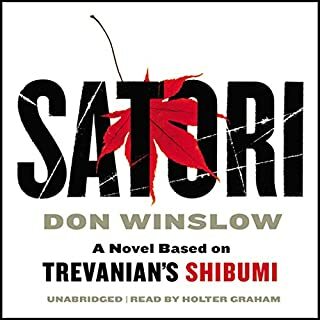 What made the experience of listening to Satori the most enjoyable? Holter Graham is a great narrator. Excellent. Love all of his performances, but as a CJ Box fan I was thrilled he was narrating Don Winslow. 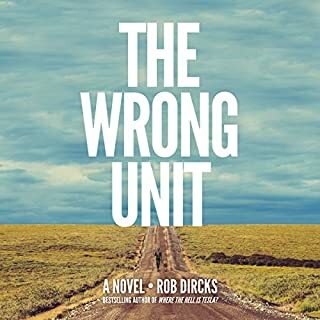 I listened to it on two long road trips and like all Don Winslow, it's easy to listen for long periods of time because of the quality of dialog and the characters. As many have pointed out this book is a bit flawed in plot. I'd highly recommend reading the afterword FIRST to understand what Don was trying to do in honoring Trevanian. Don Winslow knows how to bring characters to life. 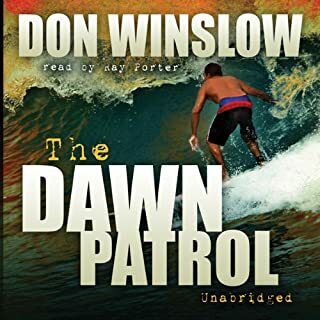 What made the experience of listening to The Dawn Patrol the most enjoyable? Don Winslow's ability to create believable characters goes beyond the individual protagonists. San Diego becomes another fleshed out character, and "surf culture" another! It's important to note that this novel has both a light and a (very) dark side. This is not a lightweight experience....some of it is tough and gritty. As with all of Don Winslow's books (at least the seven or eight I've read) there is an immersion that happens to the reader....you become part of the world almost instantly and begin to care about what happens to them. 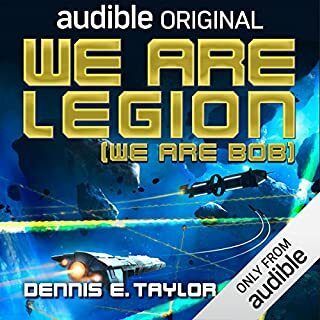 Ray Porter is one of the best, if not the best narrator that I've ever heard. His voices, accents, and stylizing in places, is incredible. I'm going to search for other books by him and listen to them just because he's the voice. I did! Well, almost. Two sessions on a road trip. My wife and I stopped on the side of the road to finish listening to chapters before we could get out to make a pit stop or grab a bite to eat! If you like Longmire or CJ Box, you'll like this book. Great characters and excellent pacing. 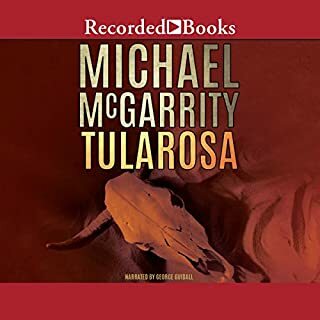 I'll be trying more McGarrity.